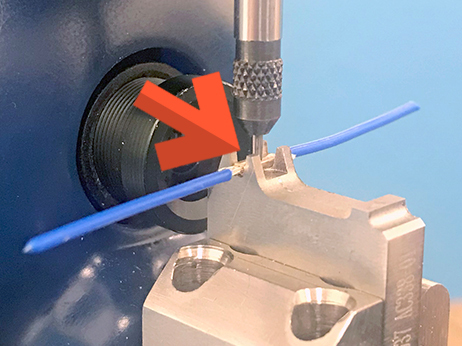 SM Contact designs and produces quality control equipment for splice and crimp connection: micrograph laboratories, pull force and splice or crimp height devices, as well as specialized measurement software. 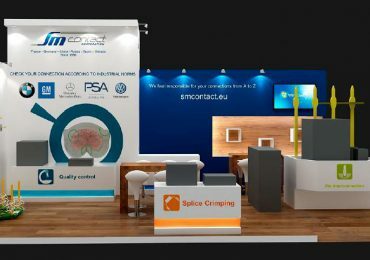 In many industries, especially in the automotive, quality standards have been developed and are widely applied: VW, USCAR, TYCO, PSA, Renault, TDK and others. Compliance with their requirements is the key to a successful business, as well as to the safe and efficient operation of the final product. That is why the availability of reliable laboratory equipment and the possibility of timely quality monitoring are so important in the production. 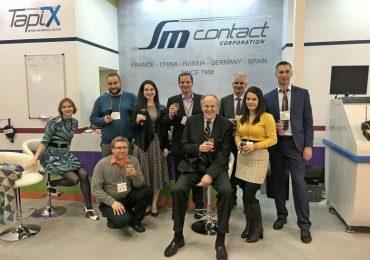 SM Contact offers not only the equipment itself, but also seminars on current standards, testing algorithms and the principles of quality control devices operation. 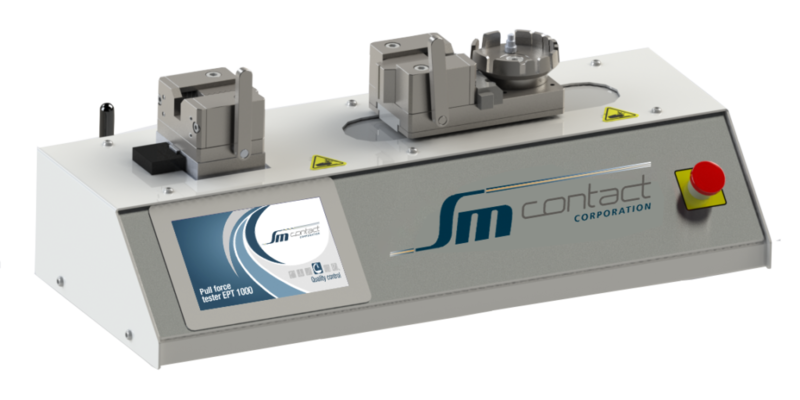 Choose one of SM Contact equipment configuration to match necessary automation level and production volumes. 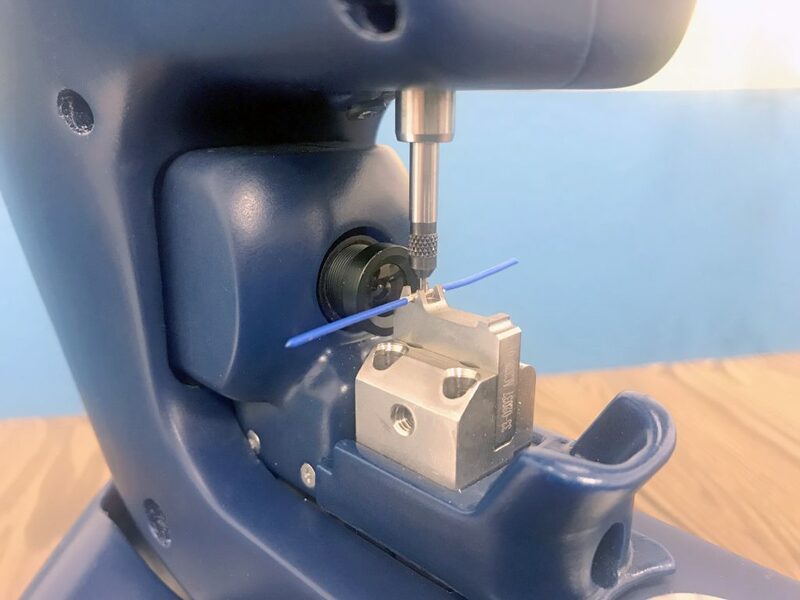 Mobile micrograph laboratory enables quick, user-friendly, reliable, and cost-effective quality assessment of a crimp or splice connection. 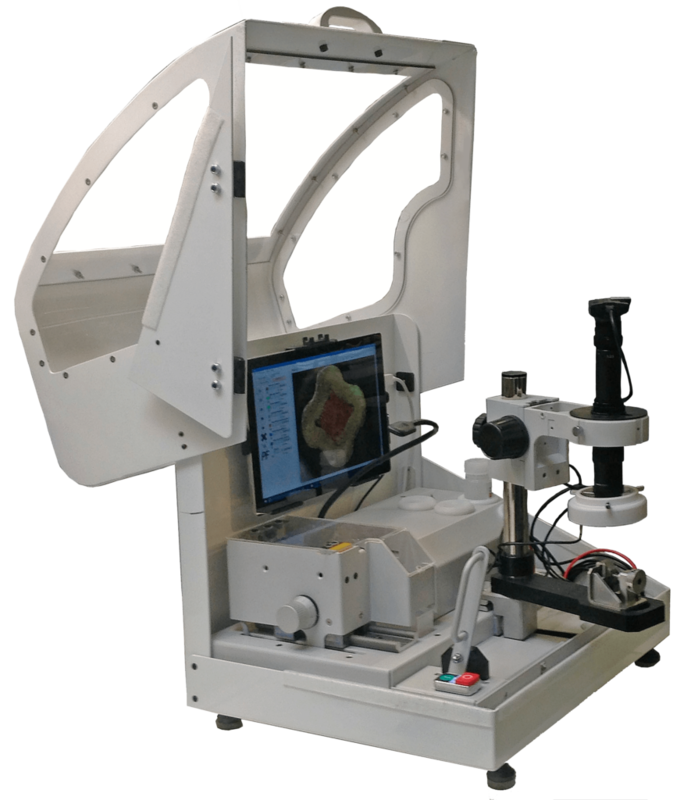 All the work steps are integrated in one device: first a sample is cut, its cross-section surface is grinded and etched to make necessary details visible, finally it is located under the optics to get macro image and to measure its parameters. 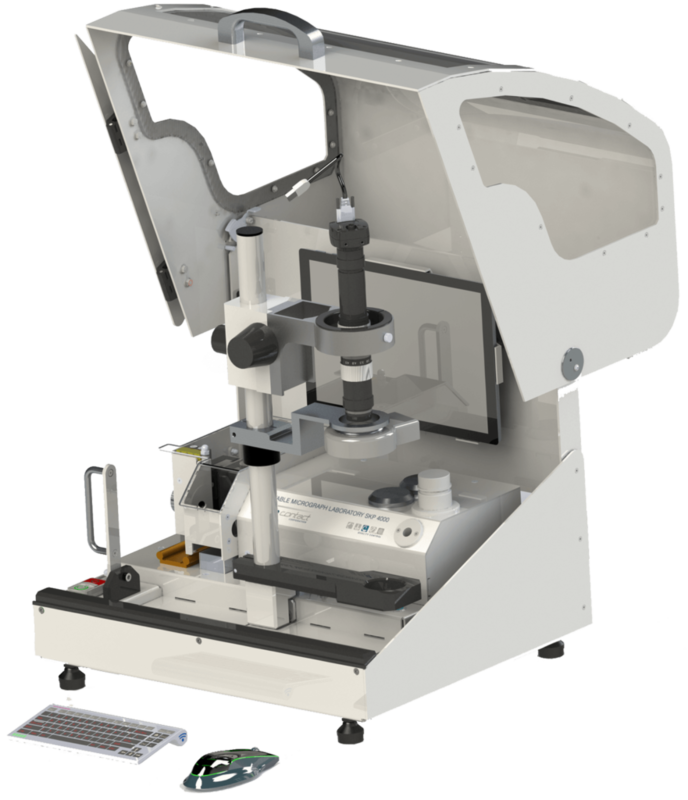 Brand-new sample holder assures proper sample positioning and makes transfer from one process stage to another easy and fast. One micrograph costs less than 1.00€ (example based on 10,000 micrographs incl. consumable materials). Cycle time 3 – 5 min. SKP 4000 case has a handle for convenient movement and a compartment for safe transportation of the optical lens. It was designed for being frequently moved, e.g. between rooms or to the premises of the third part. The firm metal lids are quickly opened using clamp fasteners. SKB 4000 is a benchtop version more adapted for work within one place. It has a protective cover which could be closed and locked at the end of work to keep the device safe from environmental impact. 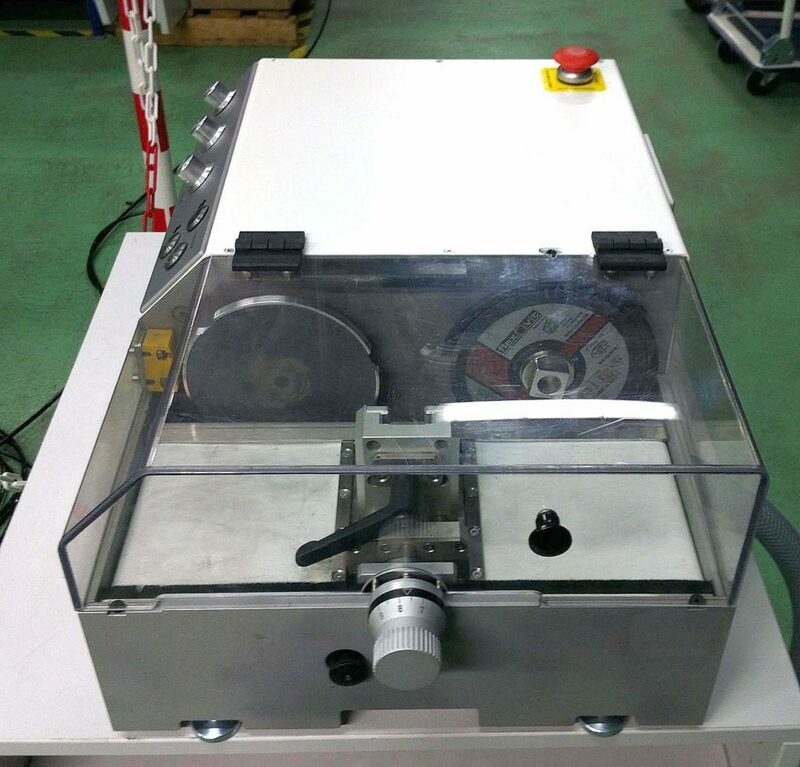 This module consists of a cutting wheel, grinding wheel and a transport carriage. To start the process operator places a sample into a sample holder and a sample holder into the carriage. As soon as a protective cover is closed, the discs could be launched. Carriage is moved between the discs with a lever and its proximity to the disk is adjusted with a feed screw. The cutting and grinding module rotational speed can be separately regulated from 5 000 to 20 000 rpm. Brand new holder by SM Contact has interchangeable jaws adapted to corresponding connection. 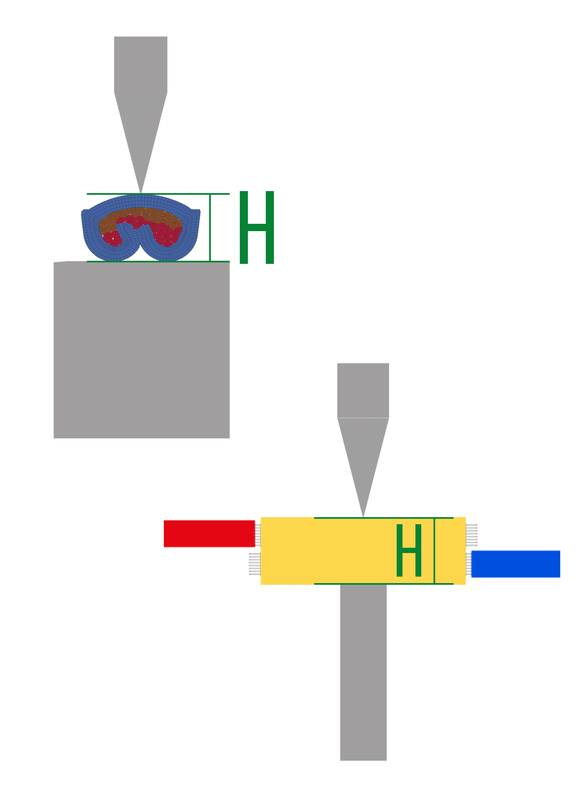 Its shape precisely follows the shape of a sample, while special stop block fixes the sample at the same horizontal axial position. 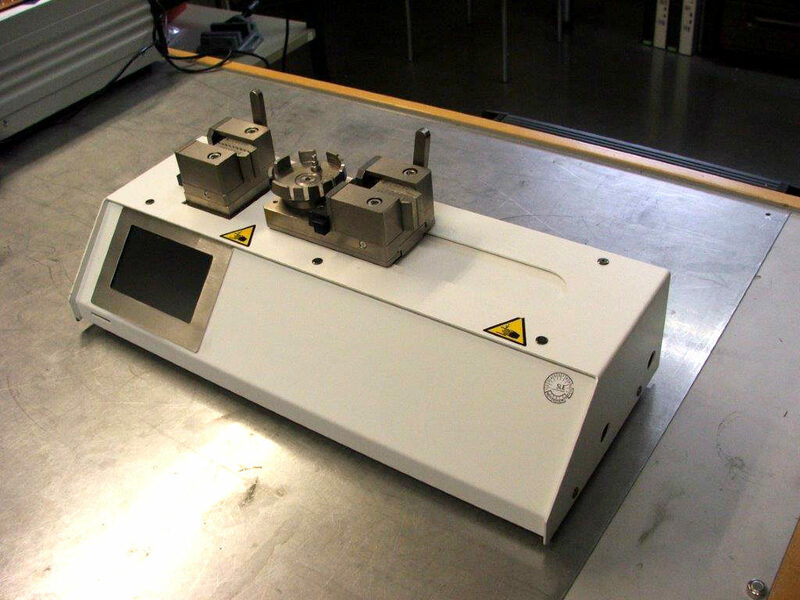 As a result perpendicular sample position and proper cut guarantee valid measurement results. Etching is necessary to make relevant details of a cross-section more visible. 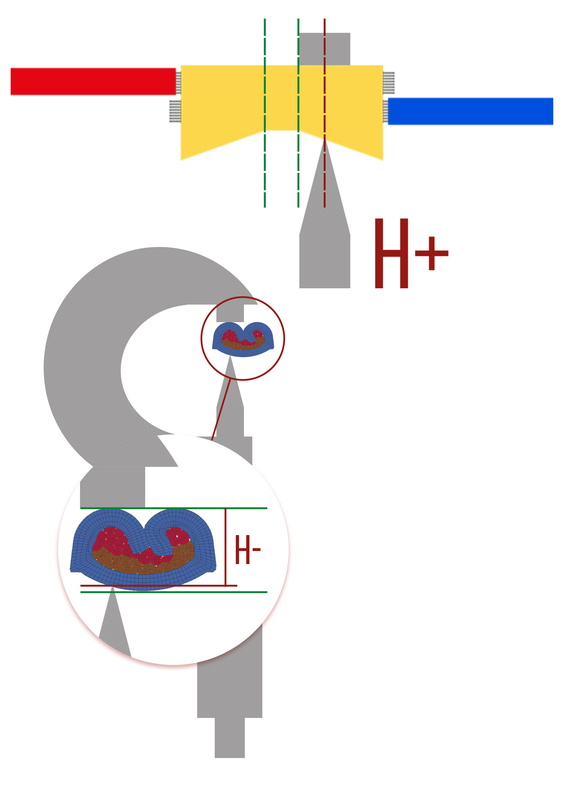 The current is applied to the sample holder and a felt pen dipped in electrolyte is used as a cathode. 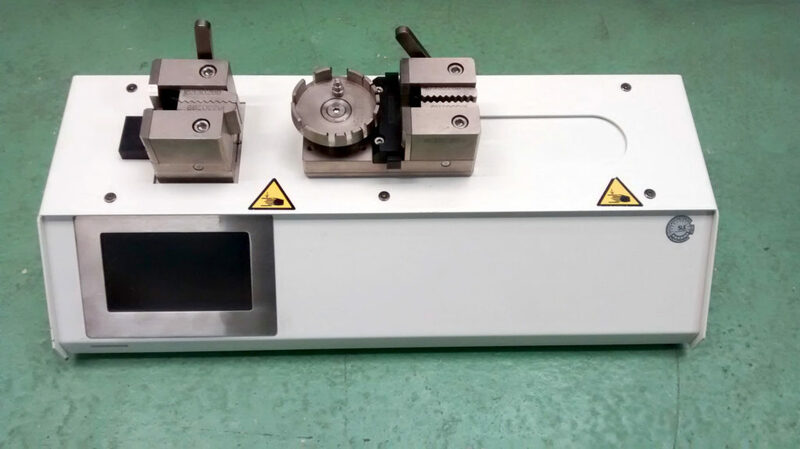 Stable position of a sample holder is assured by the special receptacle and the etching time is limited with an adjustable timer for reasons of energy saving and safety. 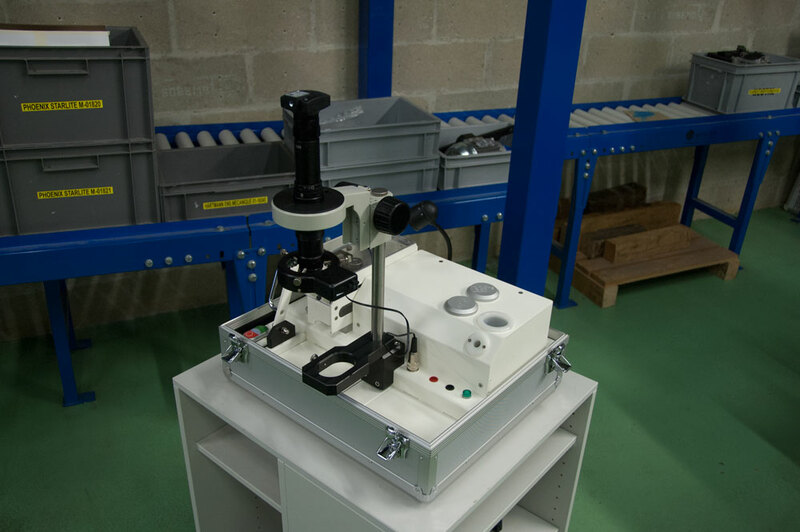 Prepared sample is located under the microscope to capture the image to be measured. Zoom lens with USB camera transfers the image to the standalone PC (SKP 4000) or to the built-in tablet (SKB 4000). Adjustable ring LED light provides good visibility. Captured image is measured with a help of special software – Viso 6.00. 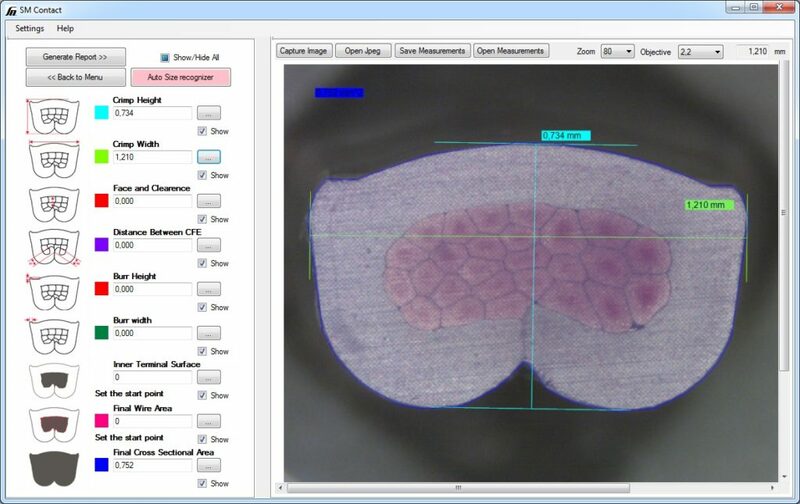 Operator chooses the parameters to measure, its reference values and performs the measurement on a cross-section image: measurements with appropriate presets or comparison to the Control list. 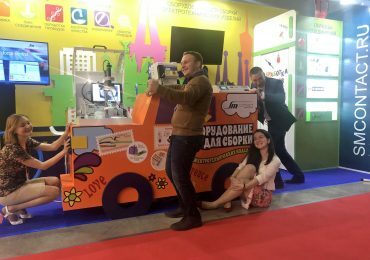 It also provides dimensions detection and data export to PDF format. All the necessary spare parts and consumables are included into supply kit: abrasive papers, cutting disks, etching pen inserts, electrolyte, crossline reticle, etc. All the measurement results could be automatically uploaded to Customer‘s private area in SM Cloud data storage. If they diverge from the Control list, SM Contact engineers get a signal and provide Customer with the assistance. 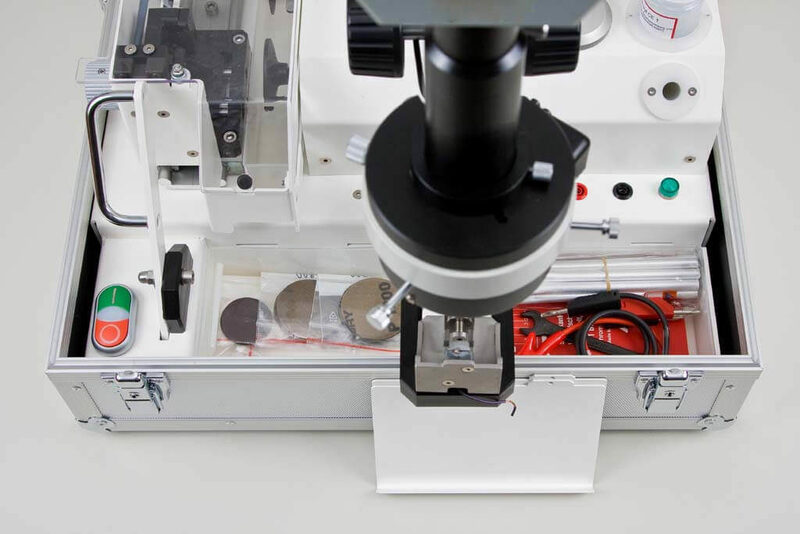 Micrograph laboratory SK 6000 consists of the following separate units: SKT 6000 cutting module, SKE 3000 etching module, and LMX 2000 microscope. This configuration allows measurement of larger components. 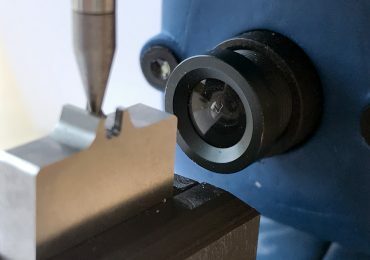 First a sample is cut, its cross-section surface is grinded and etched to make necessary details visible, finally it is located under the optics to get macro image and to measure its parameters. The accuracy of the quality assessment is assured by the patented SM Contact sample holder and Viso 6.00 measurement software. To start the process operator places a sample into a sample holder and a sample holder into the carriage. As soon as a protective cover is closed, the discs could be launched. Carriage is automatically moved between the discs and its proximity to the disk is adjusted with a feed screw. The cutting and grinding module rotational speed can be separately regulated from 300 to 3 000 rpm. Cutting speed and pressure remain constant. Damage of the sample is thereby prevented. Two different electrolyte solutions are supplied: a slightly acidy and a neutral solution. 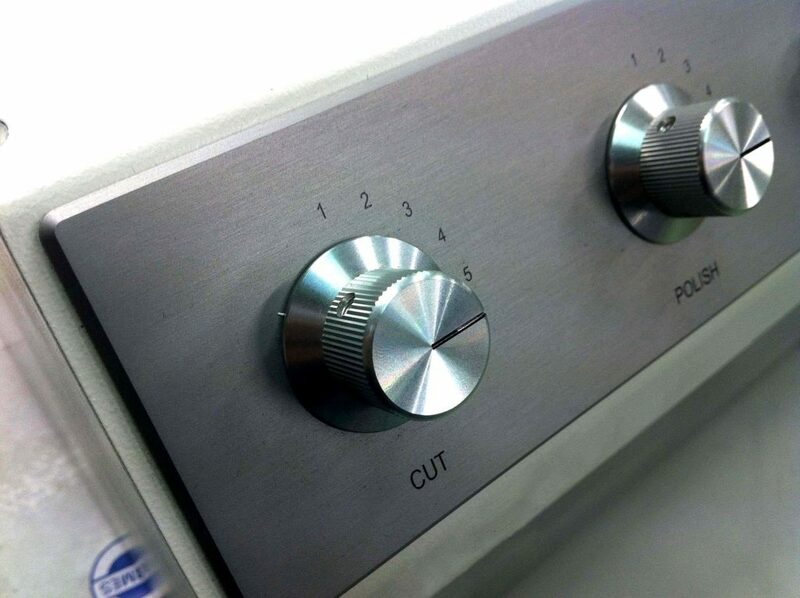 Etching strengths are available from 0.35 A to 3.15 A. LED light indicates that etching is on. 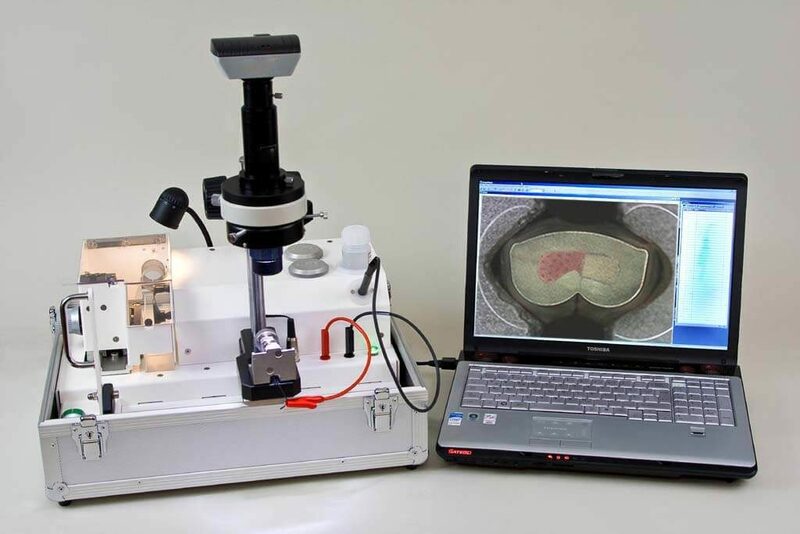 Prepared sample is located under the microscope to capture the image to be measured. 5x optics is equipped with LED lightinh and a shutter. Zoom lens with USB camera transfers the image to the standalone PC. 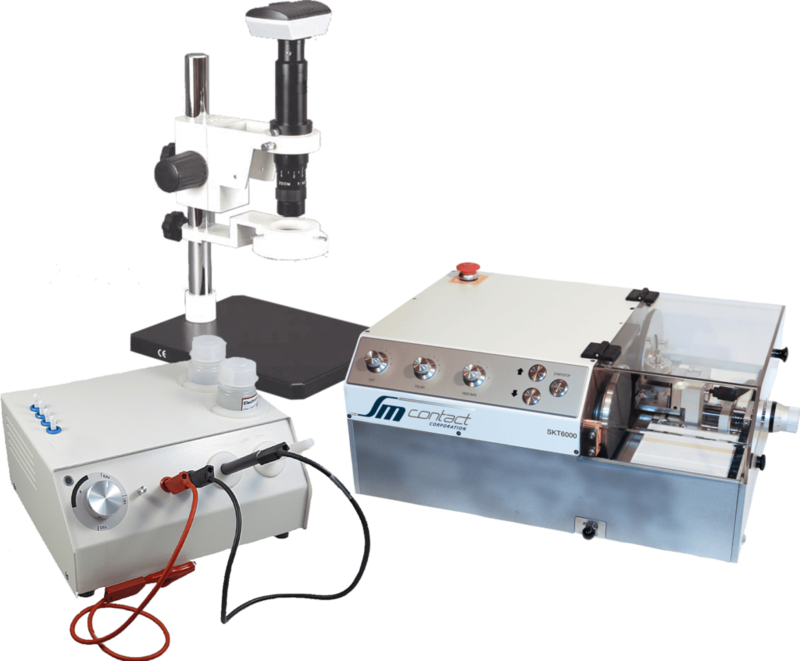 Optics 0.75x and 0.5x for microscope are available upon request to change operating distance from the sample to the optics. 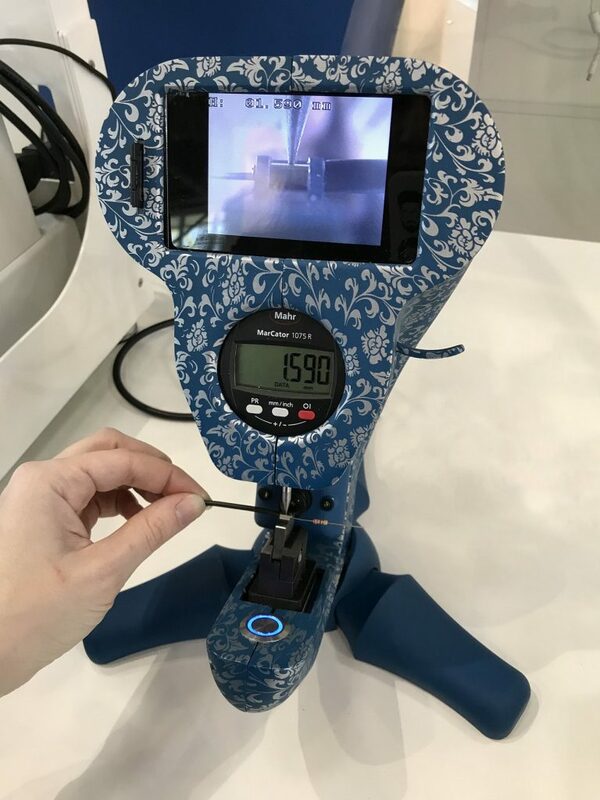 EPT 1000 is a motorized pull force tester for measurement of the pull forces in crimp connections and peeling forces in welding joints. Versatility and ease of use are provided by rotating interchangeable sample holder, long displacement path and intuitive graphical interface. A speed-controlled motor guarantees constant pull speed and accurate results. The testing process is visualized on the graphical display in real time, and the results are automatically saved to the archive. Variable pull speeds 25, 50 and 100 mm/min. Thanks to well-thought-out system (motor, guides, etc.) EPT 1000 allows displacement up to 157 mm. It makes the device applicable to large connections. Pull-force sensor is selected according to customers demand. Thus measurement range and accuracy can vary. 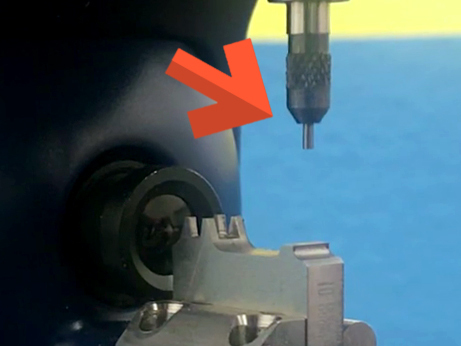 As a sample holder, a clamp or adapter with 12 slots of various widths are installed for wires of appropriate diameter. Therefore, the device can be used for almost all required cable processing tests (IEC 60352-2). 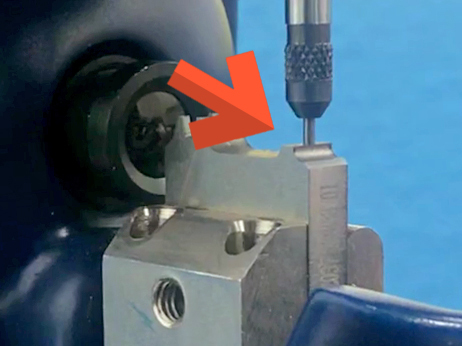 Sample positioning is as easy as ABC: operator push the lever and place the sample, as soon as the lever is released the spring system automatically pulls the clamp back. No need for a wrench or other special tools. Break (destructive) – the sample is pulled to break. The break point is determined by 25% of the applied maximum force. Hold – the sample is not destroyed during this test. It is subjected to a defined force Fh. The applied force is held for a defined time Th. Hold & Break – two previous modes are combined (hold and pull off). First, the hold mode is applied. Its duration is equal to time Th. Then the wire is subjected to a breaking pull force. 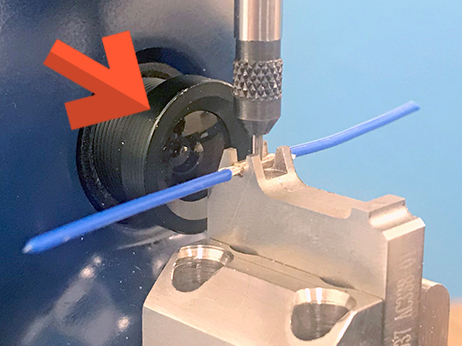 All measurements results are saved even if the test is aborted: selected mode, force-time curve graphics, crimp width and height, maximum force, and hold duration of maximum pull-force (in Hold and Hold & Break modes). 65536-colour touch-screen displays current measurement features, its settings and measurement archive. Settings menu allows to choose a mode, its parameters and carriage options, to select speed, interface language and measurement unit, as well as to start calibration of the device. Intuitive navigation simplifies operation and enables reproducible test results. 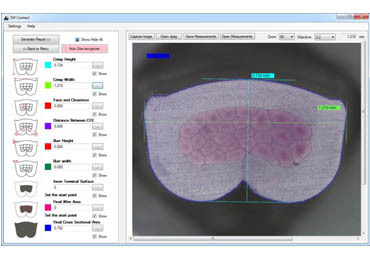 Viso 6.00 is PC measurement software that helps to evaluate splice quality control by means of micro-section analysis and to maintain timely direct interaction with SM Contact engineering staff. All the measurements are taken according to predetermined industry (VW, PSA, etc.) or customized reference values. Interaction between user and supporting engineers is performed through SM Cloud data storage and is an essential part of Full Process Control (FPC) Solution system. If connected to the Internet, Viso 6.00 is updated automatically as soon as new updated appears. 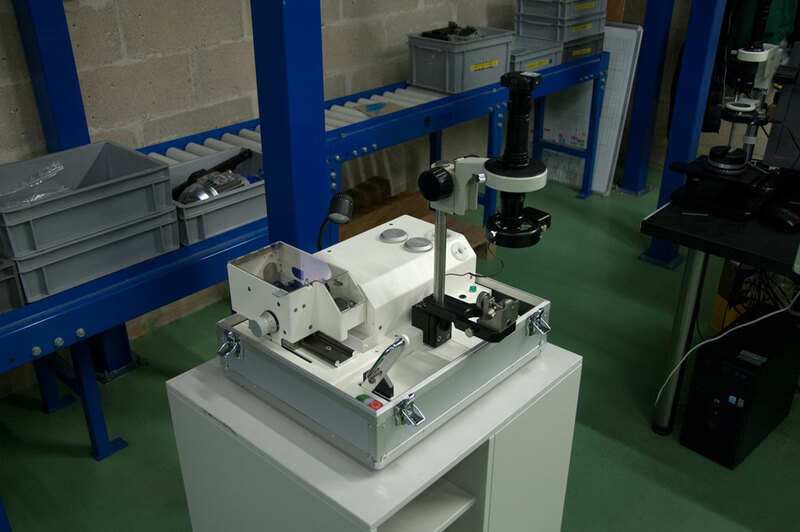 Operator prepares the sample with a help of laboratory equipment, capture its image and transfer it to Viso. Opening the operating panel of a software, operator chooses the mode: free measurement or Control list correlation. Selecting the free mode, operator chooses the parametres to measure. In the Control list mode the parametres and its reference values are predetermined. 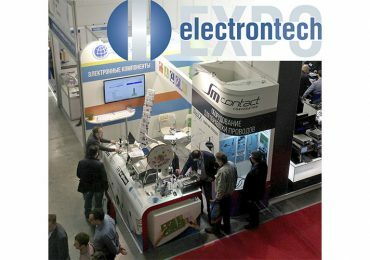 Operator measures the parameters by setting the start and end points of each measurement in the working area. 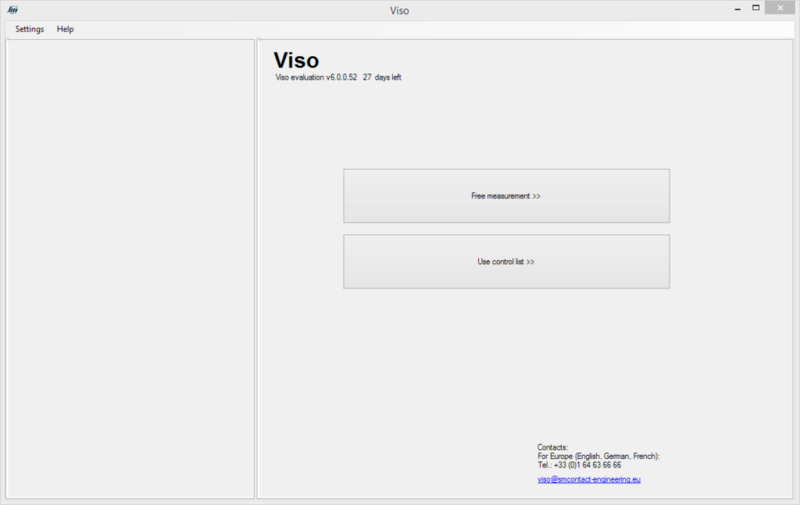 Viso 6.00 generates a report (free measurement) or a comparison report (Control list mode). 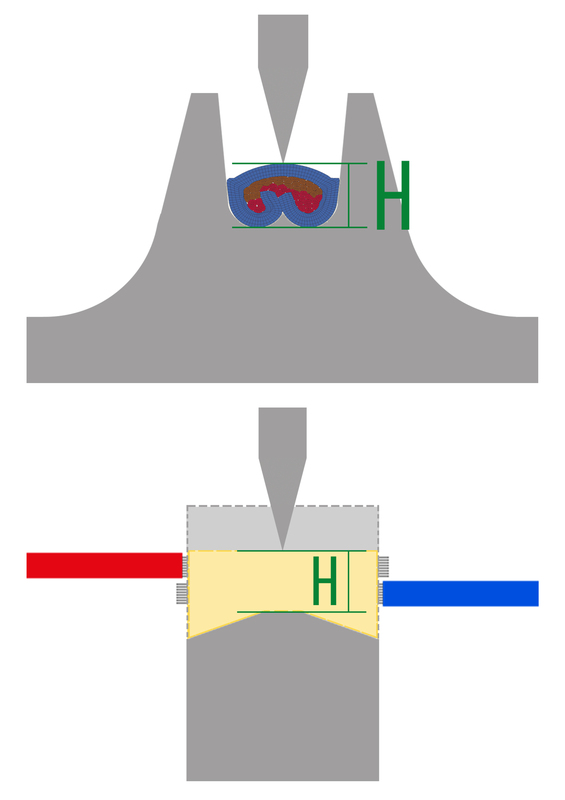 Optimal dimensions and its’ tolerances found in Control lists are determined by SM Contact for the corresponding connection on the step of qualification laboratory tests and FEA simulation (cross-view, pull-force, electrical resistance, galvanic corrosion, CPK match, etc.). If connected to the Internet, Viso 6.00 automatically downloads all the new Control lists corresponding to the certain customer. Relevant documents are identified by the unique license number that is given to each user. Viso 6.00 has 5 pre-stored sets of parameters (presets) which are to be examined during free measurement. There is one preset provided for all the possible parameters measurement and several more corresponding to the most useful industry standards (VW 60330, USCAR 21, TYCO114-18022-10, PSA 9634115099, Renault 36-05-019, SM Contact Norm). 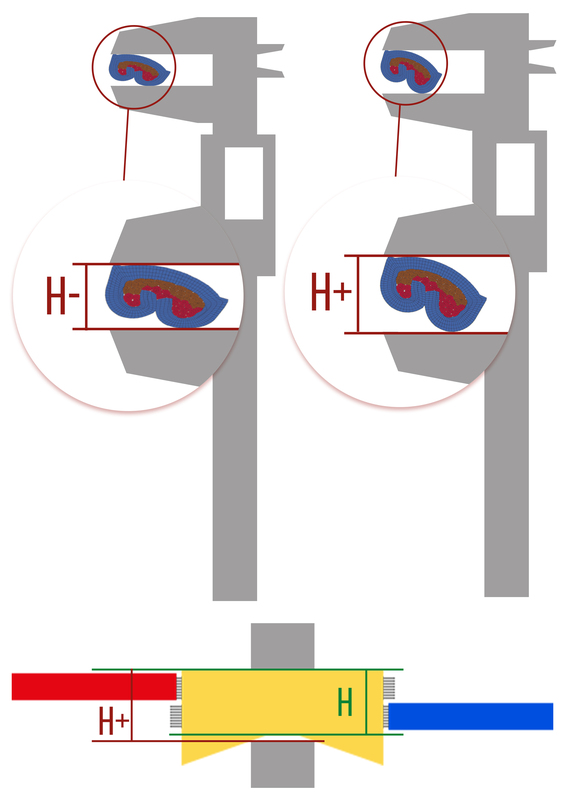 It is possible to launch automatic size recognition of the following 5 parameters: crimp height; crimp width; support angle; inner terminal surface; final cross sectional area. 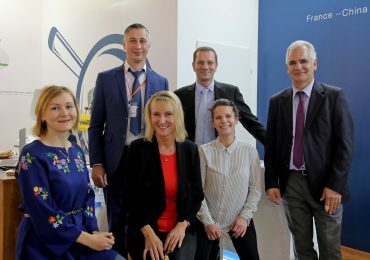 Annual re-validation of customer’s connections with updating of the Control list and drawing up recommendations for meeting the quality requirements.